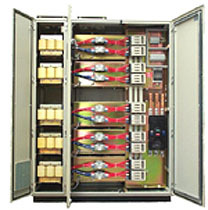 ESE manufactures heavy-duty Power Factor Correction (PFC) Units, designed for long life, with components from world leaders in their field. A Power Quality Assessment is essential when designing a PFC System. ESE will design, supply and install a PFC System as a "turn-key" project taking into consideration all external factors that will ensure long life and optimum performance from the PFC System. Each PFC System sold, includes an after sales service that ensures the PFC System performs impeccably for many years. ESE have built a reputation for heavy duty, long life PFC Systems and have a proven track record in various industries, city towers and hospitals in VIC, TAS, SA, NSW & QLD.